Say hello to your new favorite tampon. 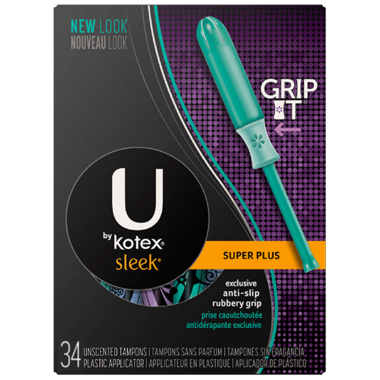 U by Kotex Sleek Tampons feature a rubbery PerfectTouch Grip for “just right” placement and a smooth tip for comfortable, easy insertion. With a slim yet elegant design, this tampon comes packed with super-plus-sized protection.